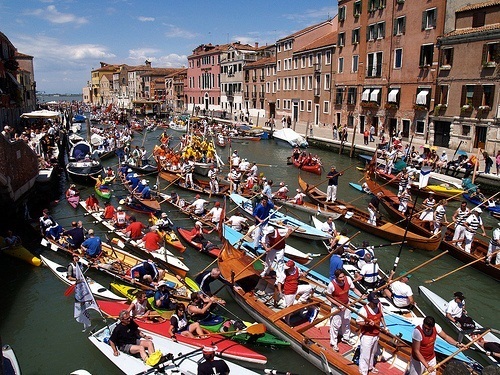 Rowing event in Venice – over 6000 rowers took part last year. It's non competitive rowing regatta, 18 miles in length, starting in front of the Doge’s Palace, along the Grand Canal and to the lagoon north islands and back. It celebrates the “people of the oar”. For more details click here. For more properties in the Venice region click here. Chipping Camden hosts the annual Olimpick games, founded by Robert Dover in 1612. The original Olimpick Games is taking a year off in 2017 in order to reorganise and reboot this ancient tradition, so it can be protected for future generations. 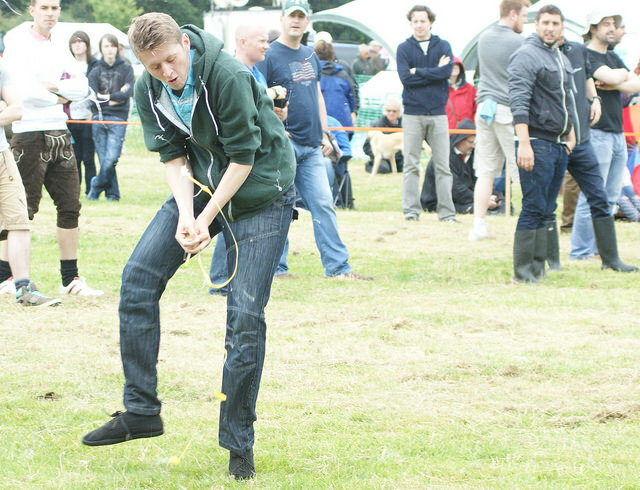 Games include shin-kicking, wrestling and obstacle races. The day ends with fireworks and a torchlight procession. Check the Olimpicks website for further details. Spain’s largest annual pilgrimage, the journey to El Rocio attracts devotees of the Virgen del Rocio (Virgin of the Dew) from across the country, and even from abroad. Processions bound for El Rocio often consist of ox-drawn, flower-decorated gypsy wagons, tractor-drawn carts, women riding side-saddle while wearing flamenco dresses, and men in cropped jackets and flat, broad-brimmed hats riding horses with fringed leather headpieces. 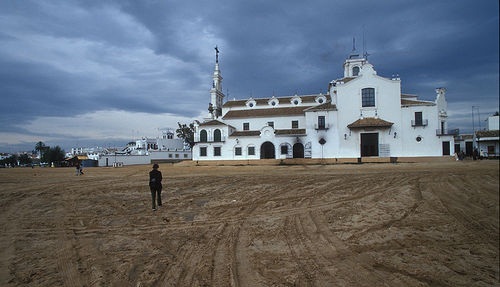 The pilgrims all aim to be in El Rocio by the weekend before Pentecostal Monday. On the Sunday, the statue of the Virgin is brought out and shown around. The town itself is reminiscent of the Wild West. The whole spectacle is like being transported back in time to a previous era. The Swaton Vintage Day is an established event with thousands of supporters every year. From egg throwing where 2 people throw (and catch) an egg at increasing distances until the egg eventually is broken (or dropped) - to the more serious Russian Egg Roulette, where opponents sit facing each other with 6 specially slected eggs - 5 of which are cooked, and one is raw - taking it in turns to pick and smash the egg onto his or her forehead. Swaton is situated between Helpringham and Swaton on the B1394 which joins the A52 and A17 roads, halfway between Boston and Grantham in Lincolnshire. It is signposted from most of the surrounding main roads. 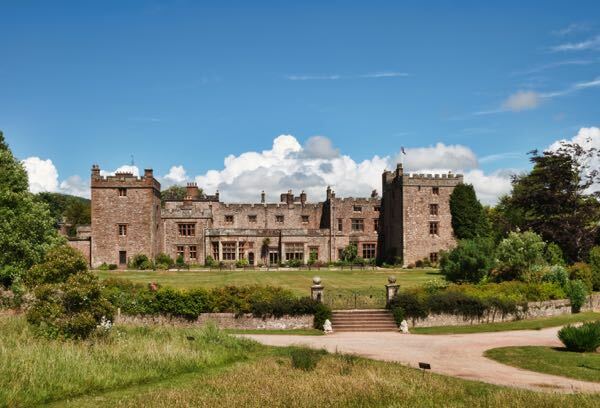 Muncaster Castle hosts the Festival of Fools, where comedians and jesters compete to win the crown of “Fool of Muncaster”. Throughout June, the main square of Florence is carpeted with a colourful, meticulously kept display of flowers. Stay in an Unusual Hotel in Florence. 's-Hertogenbosch is a city and municipality in the southern Netherlands. Every June since 2010, the waters of the city provide the venue for the Bosch Parade. A wondrous armada of vessels and objects inspired by the work and ideas of Medieval painter Jheronimus Bosch. Artists from all disciplines (art, theatre, dance, music, architecture) collaborate with groups of enthusiastic amateurs and volunteers to create this artistic, water-borne parade. This spawns not only a creative floating parade by and for the city, but also an extensive creativity network throughout the city. Also known as Corpus Christi, this celebration is held 60 days after Easter each year. Rome has an outdoor evening mass, followed by a procession led by the Pope. Another notable place for this day is Orvieto, where there is a procession of over 400 people along the streets, which are carpeted by flowers. 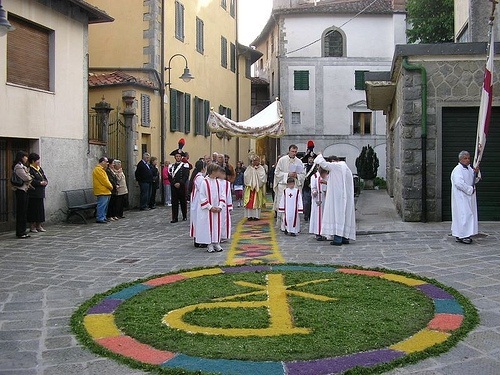 Want to stay in an Unique Hotel during the Corpus Domini in Italy? Or specifically see the Pope during your stay in Rome? Each year, the Italians celebrate the change of their country from a Monarchy to a Republic after the end of the Second World War. Celebrations include military parades and speeches from the President and other political figures. Why not stay in an Unusual Hotel in Italy? The Night of Saint John is celebrated across Andalucia, and usually on the beach. Expect a memorable experience with roaring bonfires and plenty of food and drink with friends. Perhaps you will attempt to jump over a bonfire three times during the night: a feat which, according to tradition, burns your problems away, leaving you purified and cleansed. Stay in the Unusual 'Enfrente Arte' Andalucian hotel? Cologne's gay and lesbian community will once again be inviting the city to join the ColognePride festival, taking place from 20 June to 05 July 2015. The highlight of the countless events and street parties is the concluding parade through the city centre on Sunday (05 July). 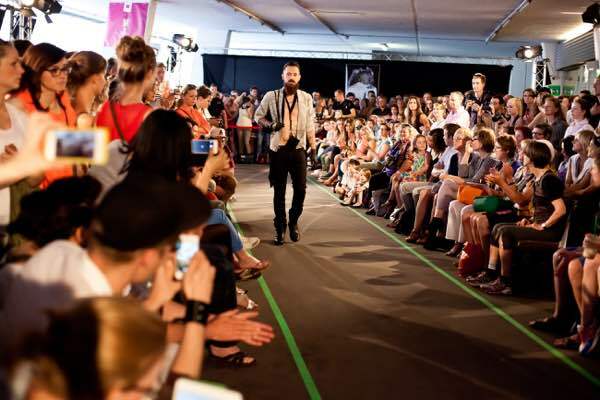 The fashion and designer event le bloc will be held on 13 June 2015 in the Belgian Quarter, Cologne's creative hotspot. In addition to exhibitions, concerts and DJ sets, the absolute highlights of “le bloc” will be the fashion shows staged in unusual venues. The day commemorates a legend of pixies being banished from Ottery St Mary to local caves known as the 'Pixie's Parlour'. The legend originates from the early days of Christianity, when a local bishop decided to build a church in Otteri (Ottery St. Mary), and commissioned a set of bells to come from Wales, and to be escorted by monks on their journey. The pixies were worried, as they knew that once the bells were installed it would be the end of their rule over the land. So they cast a spell over the monks to redirect them from the road to Otteri to the road leading them to the cliff's edge at Sidmouth. Just as the monks were about to fall over the cliff, one of the monks stubbed his toe on a rock and said "God bless my soul" and the spell was broken. Every year the 'Corona Save the Beach campaign' couples a core team of environmental protection activists, around 300 volunteers and a 'Trash Hotel' (from the previous year) to promote clean beaches and what you can do with this rubbish. In 2010, a concert in Salou was played to promote the protection of our coastline, and last year there was an ATP tennis tournament held to choose what beach would be cleaned. A great thing to volunteer for, or even attend the events set up by Corona Extra. For more information visit their website. 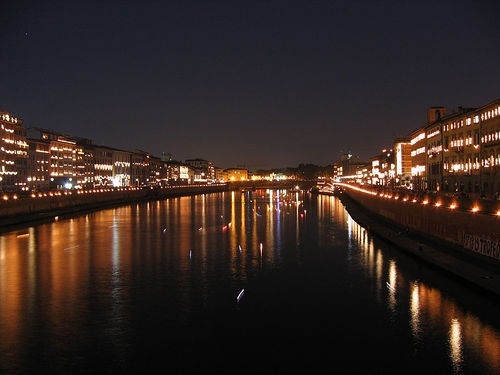 In Pisa, the Arno River and its surroundings are illuminated by over 700,000 small candles in glass holders on 16th June. The following day, there is a boat race, with a member of each boat climbing a 25-foot rope at the finishing line to reach the victory flag at the top. Check out the nearby Unusual Hotels. With free food and drink on offer, along with much local produce for sale (including, of course, fresh local cherries), followed by music and dancing, Alfarnate is an excellent place to celebrate the cherry-picking season. Stay in an Unusual Hotel in Andalucia during the Cherry festival. Verona hosts opera outside in a Roman arena during the Summer months. This year, the performances include Aida, Nabucco, La Traviata, Il Trovatore, Rigoletto and Romeo et Juliette. To see the schedule and buy tickets, visit their website. Need an Unusual Verona Hotel? St. John the Baptist (known locally as San Giovanni) is celebrated across the whole of Italy; particularly impressive festivities are held at Lake Como and in Florence. Lake Como is populated with hundreds of tiny floating lamps for this celebration, on the closest weekend to the day, and there's a huge fireworks display in the evening. The next day, traditional boats are displayed in a parade after being decorated with flowers, followed by folk dancing and flag throwing competitions. 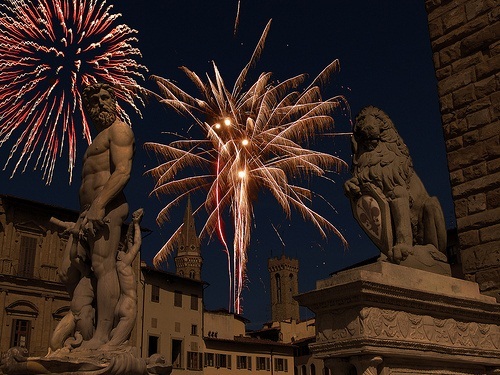 In Florence the day is celebrated on the following Sunday, with a medieval tournament, music, drinking, feasting, candle-lit row boats and fireworks. Try a stay in an Unusual Hotel while you're visiting Italy. Dating back to the 16th century, Calcio Fiorentino is an annual ‘football’ tournament that permits punching, head-butting and wrestling. Four teams play in this football game without rules, with the players dressed in 16th-century costumes. Three matches are played, with the winners of the first two games going head-to-head in the final on 24th June. 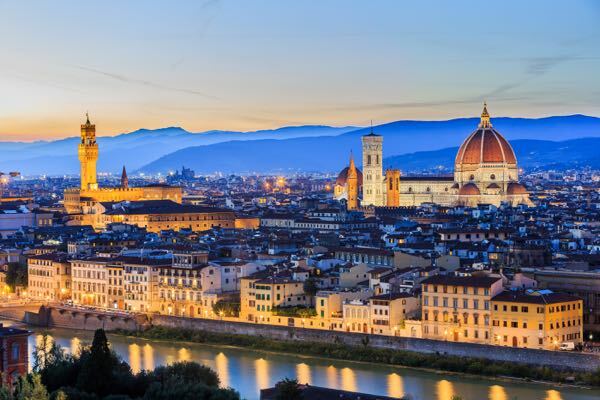 For Unusual hotels near Florence click here. 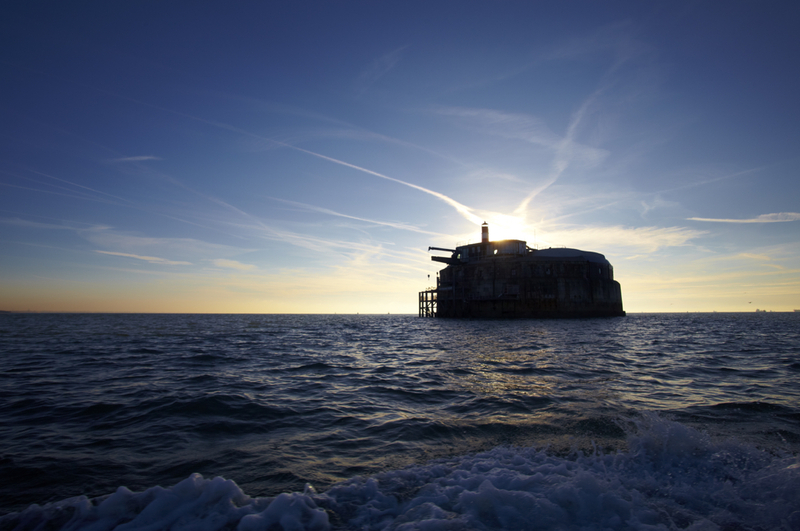 Throughout the year Solent Forts hold many incredible and exciting themed events, from Britannia lunches to Cabaret dinners, so there’s always plenty of things to do.